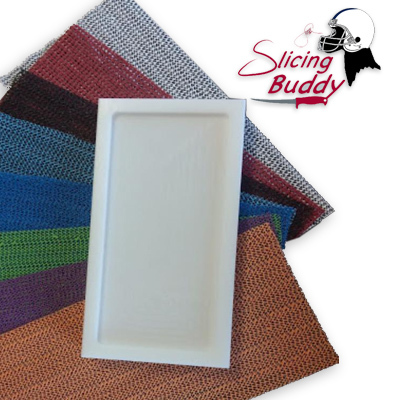 The Double Buddy Meat and Vegetable Slicing Board is a double recessed board that slices and 1/2 and 1/4 inch depths. The 1/4 inch side is perfect for consistent thin slices of choice meats that make making jerky a breeze! The 1/2 inch side is perfect for chicken and pork cutlets and can be used for fruits, vegetables and bread!